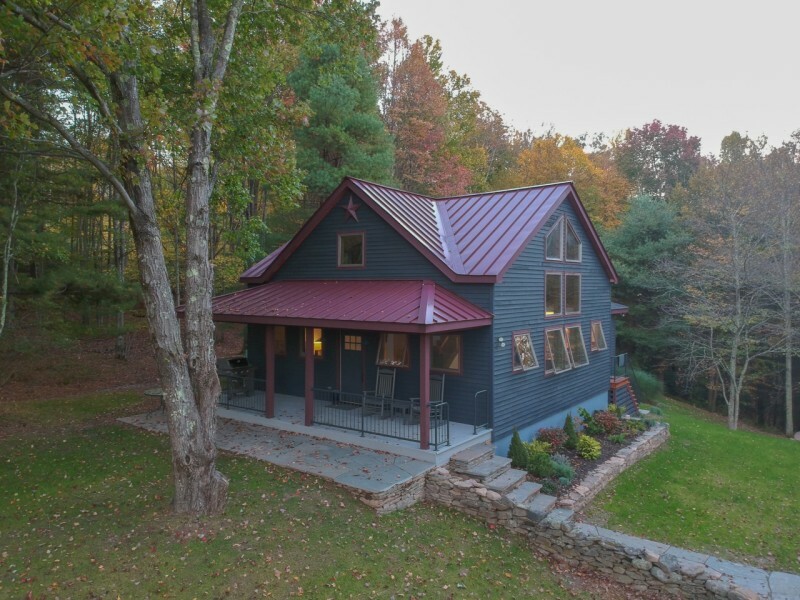 Nestled within the borders of the Catskill Park, a charming front porch beckons you inside to the open plan living, dining and kitchen areas that make up the initial interior, with exposed beams, towering windows, and the spacious wraparound loft above. The outdoor space at Scott Brook Cabin is quite magical. Stone walls abound, with ferns softening the edges of the lawns in summer. A blue stone patio has been created in a sunken spot, almost like a mini amphitheater, and it is here that you will almost certainly gather around the built-in fire pit. The hot tub is a year round attraction, and rounds out the amenity-rich features at Scott Brook Cabin.